This celebration is 100 years in the making. Multiple centennials of celebrities may not be uncommon, but it certainly must be considered unusual and eventful for two of the 20th century's most popular and critically-acclaimed pop and jazz singers to share birth dates. But that's what happened 100 years ago to Francis Albert Sinatra and Billie "Lady Day'' Holiday. The media have given plenty of attention to both, but it seems that Holiday is getting more coverage, probably because she had a much briefer career and life (she died at 44; Sinatra at 82), and there is more curiosity about her. The Erie County Public Library, noting that April is Jazz Appreciation Month, has chosen to honor Holiday in two ways. They will offer a free showing of the 1972-biopic Lady Sings the Blues (one of Holiday's most popular songs), and use its extensive Everything Jazz CD collection to feature recordings by Holiday and a host of other Jazz Hall of Fame artists. How close does the film come to capturing Holiday? Twenty reviews by professional critics resulted in an average of 7.1 out of 10. Although The New York Times found the movie "awful," it raved over Diana Ross, who won an Oscar for her portrayal, and the movie also took the Best Screenplay Oscar for its three writers, and was nominated for best art direction, costume design, and original song and adapted score. Holiday died at 44 from liver cirrhosis. Her troubled life was well documented. She was in jail twice, the first time at just 14 for prostitution. She was a known heavy drug user, and that ultimately caused her death. In her early, pre-self-destructive days, she sang in a soft, throaty, appealingly expressive voice that touched listeners in places other vocalists couldn't reach. Later, with the damage done, her voice was slightly raspy or hoarse. By then, in the '50s, it could be said she was singing about her often painful life, and she may have moved people even more than before. 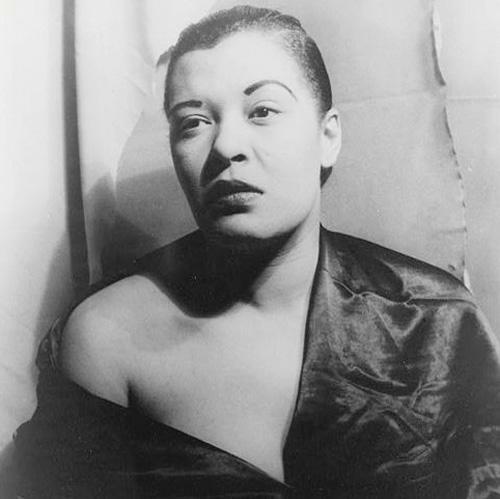 Other singers idolize her; some attempt to copy her, but Lady Day (Lester "Prez" Young gave her the name) is and probably always will be considered one of the greatest and most influential singers in jazz history, leaving a legacy of unforgettable songs – a number that she wrote, some reflecting abusive relationships with men, some about love that existed despite that behavior. Her most discussed and unusual song is "Strange Fruit," a gut-wrenching, yet poetic description and protest of the lynching of black men in the South. The powerful song was written by a New York Jewish man named Abel Meeropol, a teacher, poet and social activist. Infuriated with racism in general, he came upon a lynching photo that he said put him over the edge, so he decided to write a poem about it, later setting it to music and taking it to a club owner who immediately passed it on to Billie Holiday. She recorded it, reaching millions. The word lynching is never mentioned, instead "Strange Fruit" is entirely metaphoric, but most had no trouble picking up its meaning.